In your understanding, know that you are part of God, a member of God, as you start to re-member God, you realize that choices you made before now have not always served you well. So, firstly, forgive yourself sincerely knowing now that you will not make those choices again, now that you are a conscious choice-maker, consciously aware of being part of God. 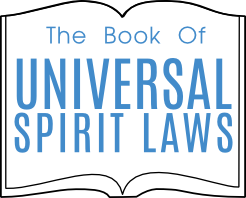 Thereafter, with regard to other parties you may have negatively affected, whether the affected parties are on the earth plane or in Spirit, ask for their forgiveness of your choices which may have adversely affected them. You simply have to genuinely ask for their forgiveness. Whether they can find it within themselves to give you forgiveness is their issue – not yours. As you search to re-member and become part of God, you become more and more enlightened. Any dark spots still on you or new ones you attract will be much more easily seen now that you are becoming more enlightened. The bigger your light, the bigger the shadow behind you. Your conscious choice-making has “raised the stakes” as you continually have to deal with dark issues that are so much more transparent and visible, for all to see, when you stand in a much brighter light. The process of purification is ongoing until you reach perfection – and then earth no longer requires you as you have come to earth to heal, grow and evolve! In your process of purification seeking ultimate perfection, you have become part of God. Re-Member.